Senior Loraine Lee discusses potential roleplay categories with another DECA member. She said that she wants to help members find a roleplay that interests them because it will help motivate them to practice and do well. DECA members will use resources provided by the business department to practice for their events at the upcoming district competition scheduled for Jan. 12. 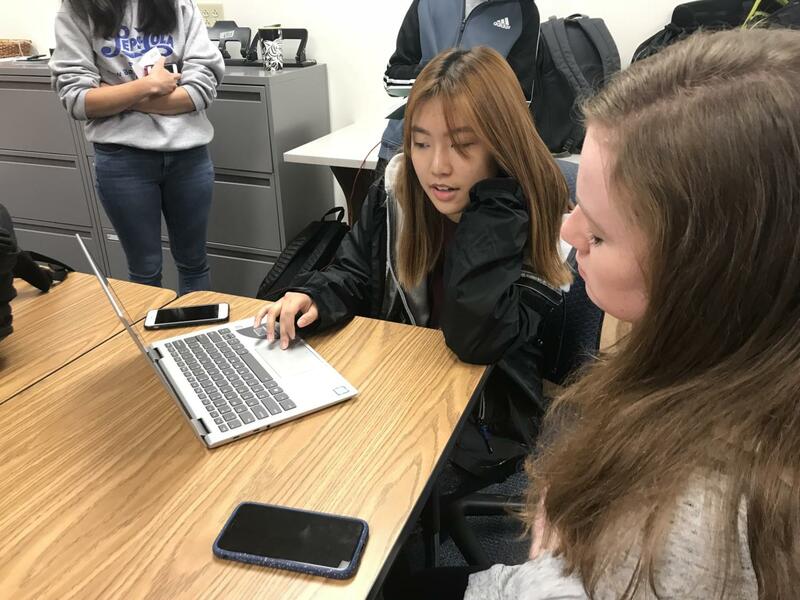 Laura Cardamon, DECA co-sponsor and business teacher, said DECA has started to introduce a new software called “Competition University” to students. According to Cardamon, the software is designed to expose students to a variety of practice tools to help prepare them for the competition season. Nishita Prasad, DECA sophomore class officer, said in the past, she has found the resources provided by DECA helpful for preparing for her roleplays.